Dealing with pet accidents is never fun. We love our pets but they aren't perfect. I can't tell you how many time that I have gone into a customers home, in Tampa FL to clean their carpet and they've told me that their pet has never had an accident on the carpet. Then I bring out the UV light and start to do what I always do when I hear their is a pet in the home, I look for pet accidents. More often than not I find hidden pet urine deposits that the home owner new nothing about. In some carpets pet urine spots can be undetectable even when wet, and if you can't find it you can't treat it. 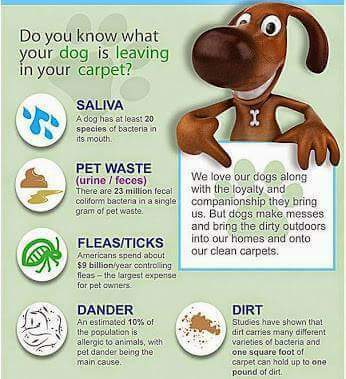 Pet urine removal is one of my primary services and I have an extremely successful treatment for removing it. The first step is locating the problem areas in the home. If I can't locate the source of the problem then there is very little else that can be done. Once the urine has been sourced then the pet urine removal process can begin. I use Chem-Dry's pet urine removal treatment, called PURT, to destroy the odor molecules that create that distinctive urine smell. Chem-Dry's PURT doesn't just neutralize odors it destroys them so they don't return. I have been using this pet urine removal treatment for years and I'm always blown away by how well it works. It never lets me down.